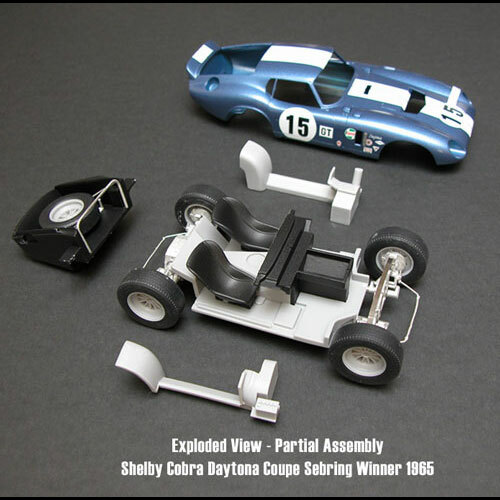 1964 Ford Shelby Cobra Daytona Coupe by Scale Motorsports. 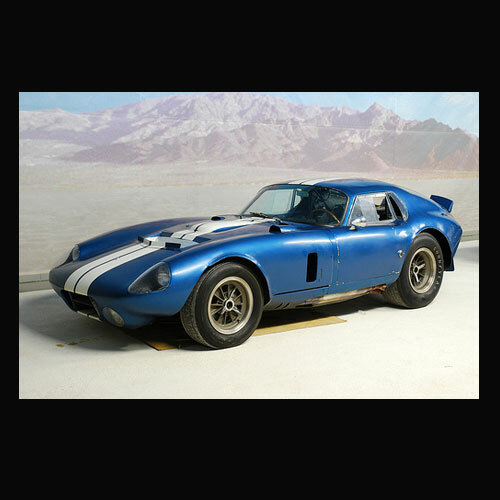 Complete curbside resin multi-media kit with extensive cockpit details and suspension components, soft resin tires with historically accurate tread patterns, high detailed photo etch and decal sheet to build either the 1964 Le Mans winner or the 19-65 Daytona and Sebring winner. 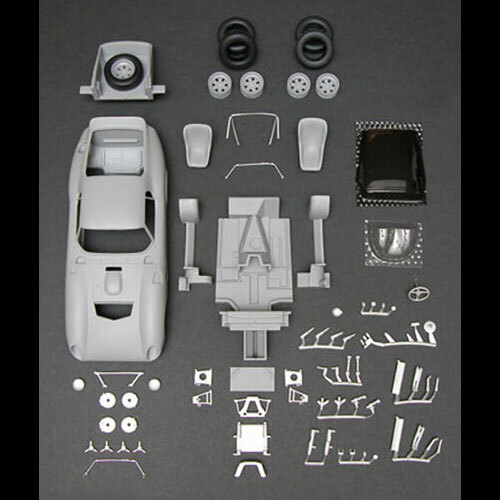 Resin parts so clean you'll think they were injection molded! Completely CAD engineered the kit parts fit together like a snap kit.